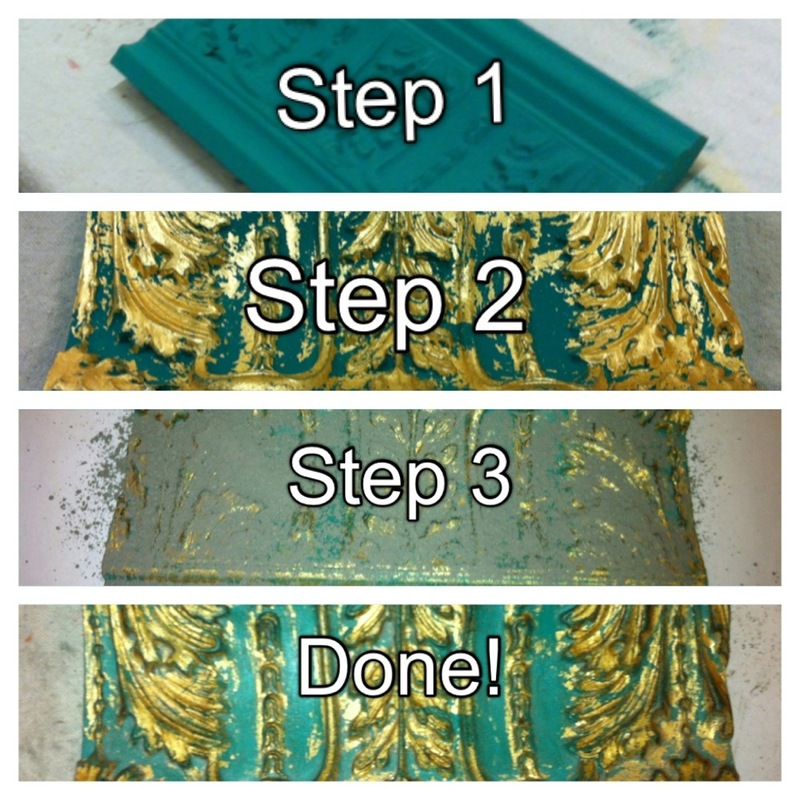 Chalk Paint® 101 workshop openings! 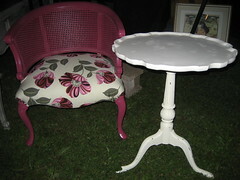 We still have a few openings in next week’s Chalk Paint® 101 workshops! Only a few spots left in each class…Cost is $95, call 614-266-2248 to register. You all asked for it, so we have scheduled 4 upcoming Chalk Paint® 101 workshops! Here are the dates, if interested call and register soon. They fill up fast!! 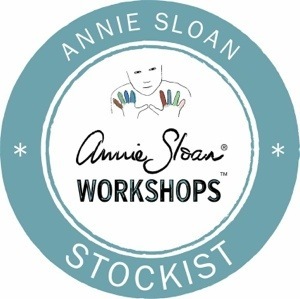 In this hands-on workshop, you’ll learn all the basics of Chalk Paint® decorative paint by Annie Sloan and Soft Wax. You will learn different painting techniques, distressing and how to wax. 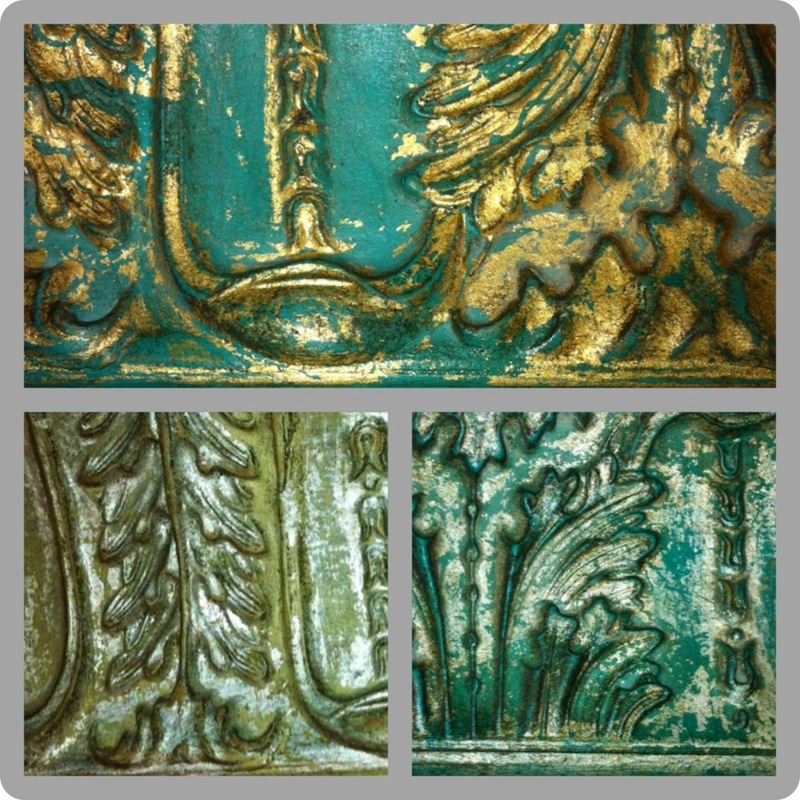 Learn how to paint a project that includes both wood and metal and take it home. 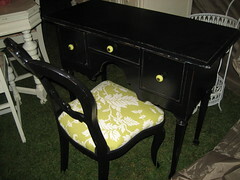 After the workshop you will be able to transform all of yor projects with the greatest paint in te world, Chalk Paint®! Good leaf, Silver leaf, Aging Dust…OH MY! It’s been a very busy month and I have been neglecting our blog….my New Years resolution was to blog once a week….I guess once a month is a step in the right direction! 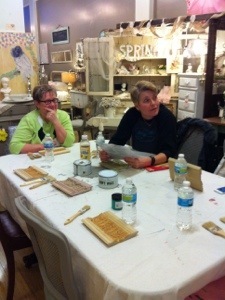 Anyways…on 2/26 we hosted our first advanced Chalk Paint® workshop. It was a class meant for those who have taken a beginner class and wanted to learn more…AKA feed their chalk paint addiction!! Because we all know…for those who have started using this amazing product…that once you start, you just can’t stop painting! During this workshop, Debra from Wallartistry taught us new techniques using gold and silver leaf, clear/dark wax and a super fun product called Aging Dust. After lots of chatting and questions, we started. Step1: We picked out our color and painted the molding completely. I chose Florence, my current favorite! 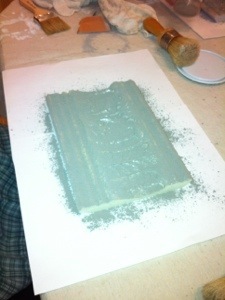 Step 2: Debra showed us how to apply the gold or silver leaf. You first apply sizing which is a clear adhesive liquid that the leaf sticks to. It is very watery and we all ended up covering more of our boards than we expected, so a lot of gold and silver stuck! It definitely takes practice…which is why these workshops are so great! 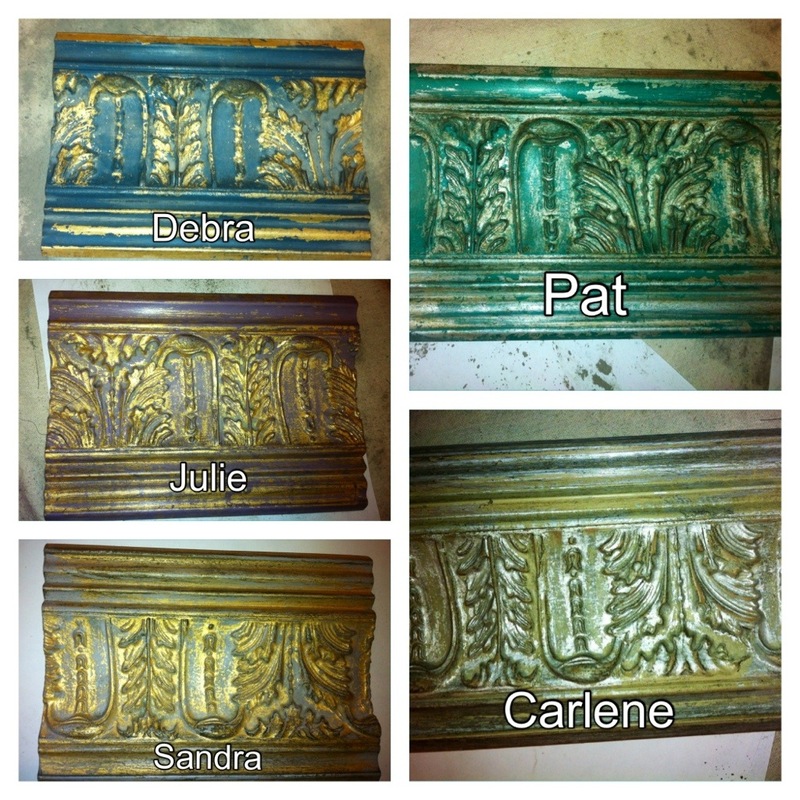 After applying the leaf to the molding, we sanded to remove gold/silver from areas we didn’t want covered. 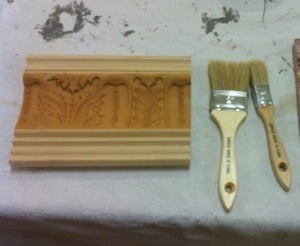 We then sealed our piece with Annie Sloan clear wax. I think we were all thinking that she was crazy and why would we cover our beautiful metallic/pretty boards with this dirty dust…but everything else she teaches us turns out amazing so we listened! After the dust sat on the clear wax awhile we dumped off the excess and all that was left was aging dust that had stuck in the extra clear wax we had previously applied. 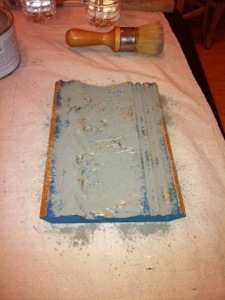 We then took a buffing brush and buffed our piece. The excess dust really helps buff and polish the piece in a very special way. We were left with a gorgeous aged finished that cannot be achieved with other products. Everyone’s turned out great! I can’t wait for our next advanced class. If anyone has any ideas or requests for specific classes let us know! Old World New Home · An Eclectic Blend of Old & New. 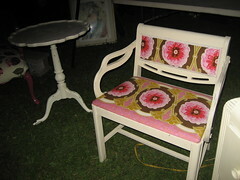 We offer furniture, gifts, home accessories, candles, vintage clothing and jewelry.